After a three-year hiatus from the marketplace, GM is back in the midsize pickup business in North America. 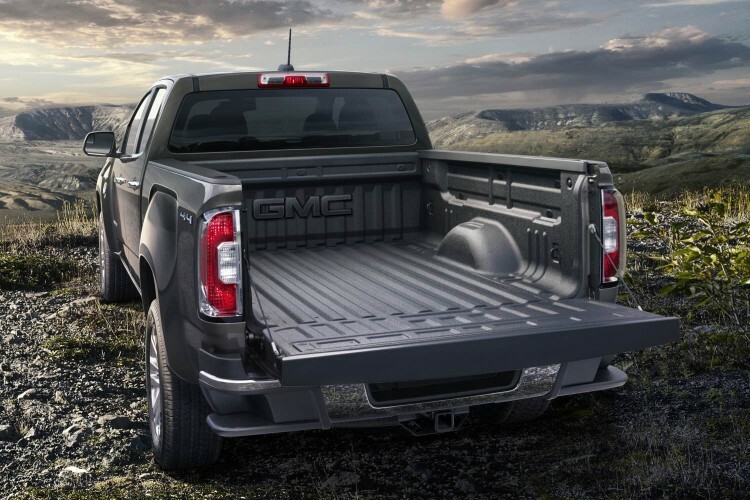 The Chevrolet Colorado and GMC Canyon nameplates return as all-new 2015 GMC Canyon models on new global, frame-based architecture, and these bigger small trucks offer more capability, more comfort, more efficiency and more convenience than ever before. Canyon and Colorado are nearly identical with minute styling and packaging differences between the two sibling brands. We recently spent time with the 2015 GMC Canyon that arrived in 2WD SLT Crew Cab configuration outfitted with the 6’ 2” long box cargo bed. These new midsize trucks are nearly as big as their light-duty half-ton siblings Sierra and Silverado and they feature specs that rival previous generation 1500 series pickups. 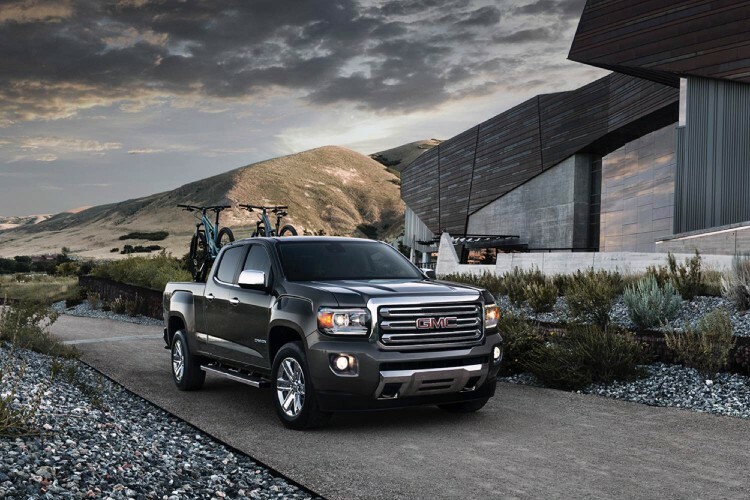 The GMC Canyon is offered in three trim levels: Base, SLE and SLT. It is also offered in two- and four-wheel drive, Extended and Crew Cab variations, choice of 2.5-liter I-4 or 3.6-liter V-6 engines and with the 5’ 2” short or aforementioned long box bed. And as with the larger models in the showroom, Canyon offers the latest safety and infotainment technology including new 4G LTE WiFi hotspot and forward collision alert and lane departure warning. 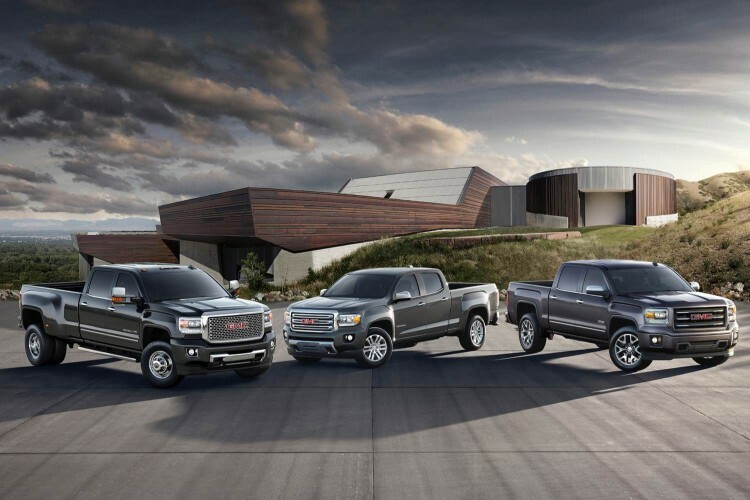 A week with the new truck revealed just how much better the 2015 models are over their previous generations. The truck rides quieter and smoother, is more maneuverable and feels more solid whether closing the door, shutting the tailgate or tossing cargo into the bed. The on-road experience was a pleasant surprise no matter what the surface conditions were and even a short spin around an urban off-road track revealed no shortcomings in the platform. 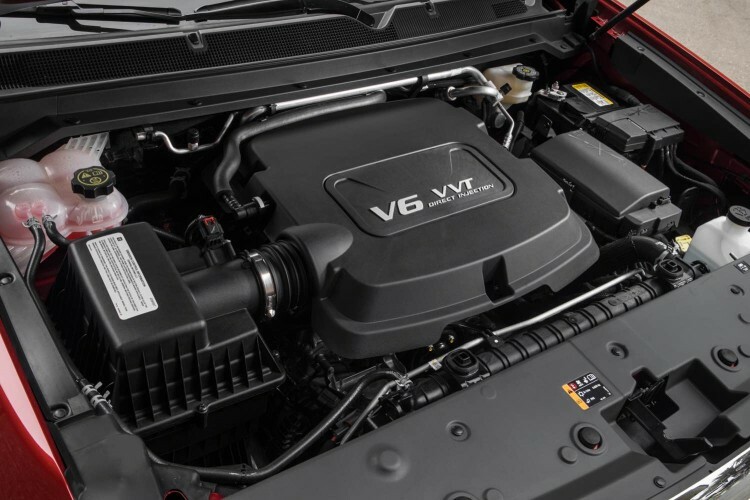 Our tester arrived with the 305hp V-6 engine backed by a smooth-shifting six-speed automatic gearbox. It also featured a fully automatic locking rear differential and rode on polished cast aluminum 18-inch wheels with all-season tires. Some key carry-over features from the 1500 series pickups include spray-in bedliner, rear bumper cornersteps, lockable EZ Lift and Lower tailgate and Duralife brake rotors. GMC utilizes coil-over-shock independent front suspension and solid axle multi-leaf spring rear suspension designs to support the fully-boxed frame chassis. There was little not to like in the 2015 Canyon, in fact when pressed to find something we didn’t care for it was a unanimous decision the only negative thing we found with the new truck were the add-on side steps. They were too high for convenient use as assist steps and they stuck out so far every time you climbed in and out of the truck your pants would rub on them. Other than that, the new Canyon is darned near perfect. 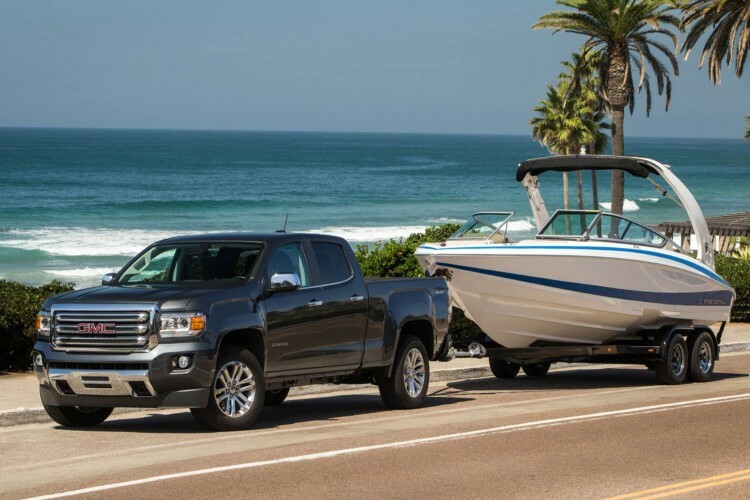 And speaking of perfection, the new midsize trucks from GM have already picked up some key awards such as Colorado named Motor Trend’s Truck of the Year (over the all-new Ford F-150) and Canyon just earning top honors from Autoweek as Best of the Best/Truck for 2015. 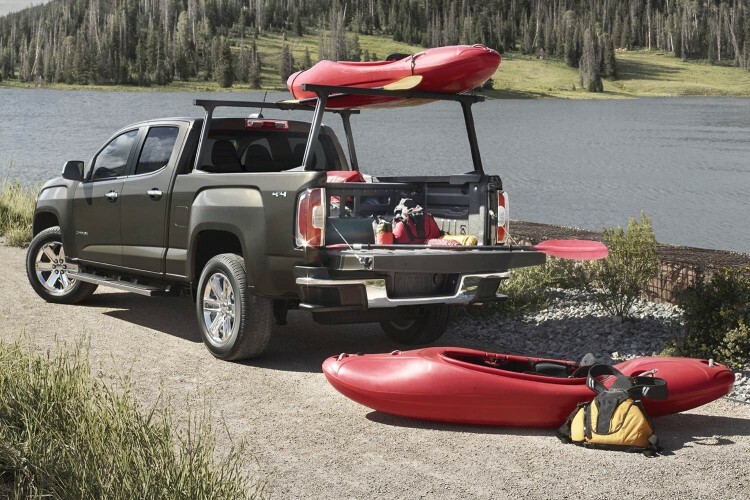 Pricing for the 2015 GMC Canyon starts at $21,880 for the base model with the SLT starting at $33,420. This loaded 2WD tester arrived with a final sticker of $36,460. Fuel economy figures for the 3.6-liter truck are 18 mpg city and 26 mpg highway. Performance numbers for the new truck include 1,620 lbs. maximum payload and towing capacity of 7,000 lbs. 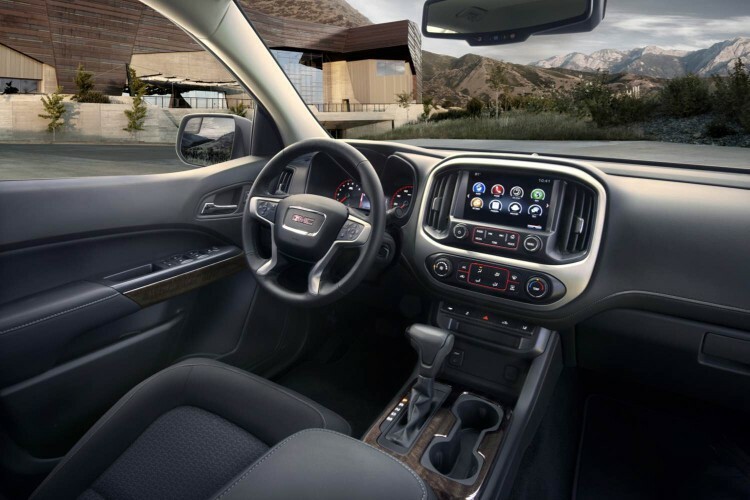 Canyon and Colorado are built in a newly remodeled assembly plant in Wentzville, Missouri. 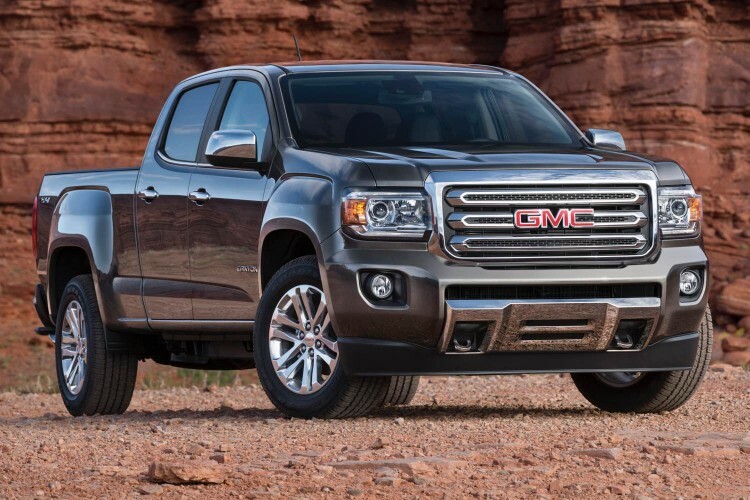 The 2015 GMC Canyon is back and back with a vengeance, ready to not only take on the current and future crop of midsize pickups but is also tilting at the windmills of the larger half-ton crop of trucks as well. Let the battle begin.